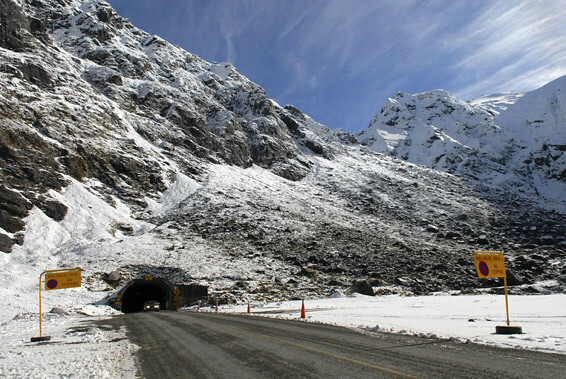 These webpages provide information about Milford Road and the unique environment that the Transport Agency is working within to maintain this solitary road link to Milford Sound. For the tunnel area Friday - Cloud increasing then rain, Saturday Rain, Sunday Showers then fine, Monday Fine. View of the Gertrude Valley, Fiordland National Park, from Milford Road. This image is refreshed every minute. 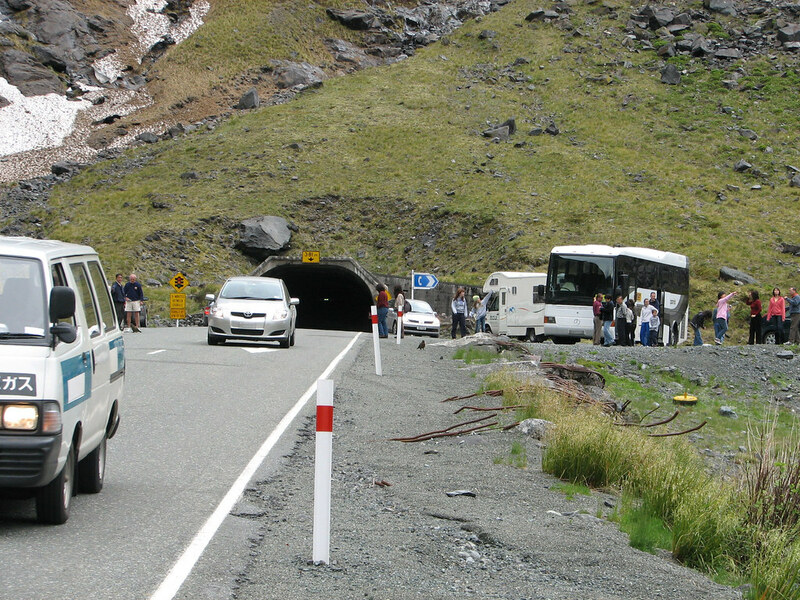 The Milford Road provides the only road access to one of New Zealand's favourite tourist attractions – Milford Sound. No other highway in New Zealand climbs as fast to the same altitude as this one which at its highest point is 940 metres above sea level. For the latest road and weather details, here are handy tips for a safe trip and frequently asked questions about this road. If you drive non-stop its least two hours from Te Anau to Milford Sound (120 km) and four to five hours from Queenstown to Milford Sound (300km). The return trip from Te Anau to Milford Sound is 240km (144 miles) with a non-stop direct one-way drive taking at least two hours, potentially longer depending on the weather conditions. Before leaving Te Anau ensure your vehicle has full tank of fuel as the only the fuel stop is at Gunns Camp in the Hollyford Valley that involves taking a detour off the Milford Road. Limited petrol and diesel is available also in Milford Sound from pumps that only certain credit cards with pin number access only. Follow our winter driving tips will help you prepare for and drive to the conditions when driving on icy, wet or snowbound roads. Check traffic and travel updates on our journey planner(external link) before you leave, or phone 0800 44 44 49. Flush toilet stops are located at Knobs Flat, The Divide and Milford Sound. Campervan drivers shouldn’t discharge waste from their vehicles in the national park. Please use the facilities at your camping ground prior to leaving for Milford Sound. 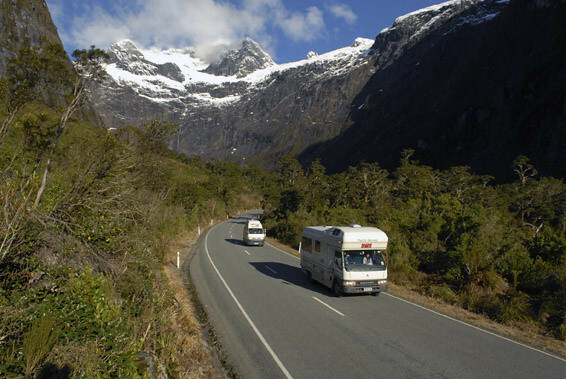 Camper van waste dump sites are also located at Knobs Flat and Milford Sound. Those who built the Milford Road and the Homer Tunnel in the 1930s were, for the most part, victims of the Great Depression and directed to this work by the government of the day. For these men of the road, and their wives who followed them into this wilderness, life was incredibly harsh, but the road and tunnel had to go through. The weather could be merciless, the terrain ferocious, steep and rugged and beset by floods and deadly avalanches. Some workers died; bridge structures, road works and tunnel portals demolished, by the irrepressible forces of nature that marauded this area. In 1952 the road was finally completed. However, it remained closed during winter until the late 1970s, when tourist and fishing interests successfully lobbied for the year-round operation of the road. After a massive avalanche killed a road maintenance supervisor in 1983, a programme was developed to monitor, assess and control the avalanche risk on the Milford Road. This avalanche control programme enables the road to stay open as much as possible with optimum margins of safety for all road users. When a low avalanche hazard is posted on information signs on the Milford Road, the road is open. If a moderate avalanche hazard is posted there is a risk of avalanches reaching the road and the road could be closed at any time. When a high avalanche hazard is posted the road is closed. 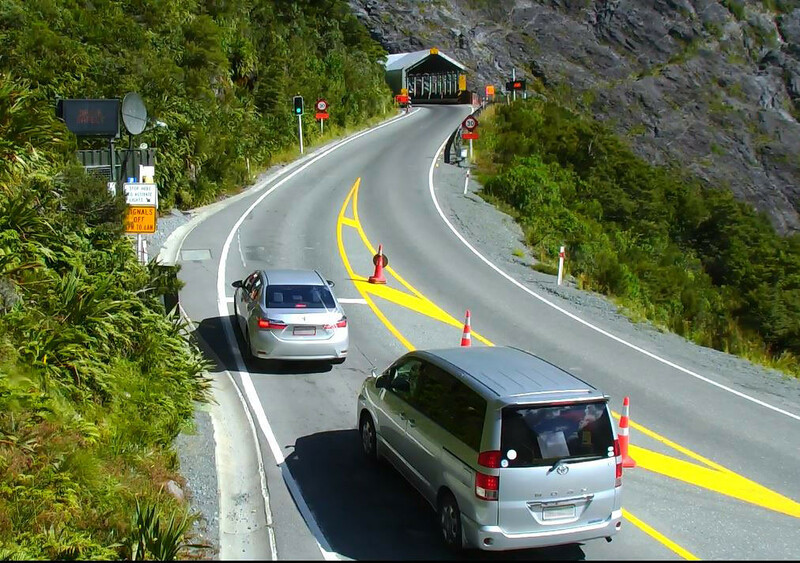 The Milford Road Alliance is a partnership between the NZ Transport Agency and Downer NZ to ensure the safe and efficient management of activities on State Highway 94 between Te Anau and Milford Sound. These include: avalanche control, incident response, managing the Homer Tunnel and general maintenance for the route. The Alliance team is based in Te Anau. This ensures local ownership and decision making around the day-to-day operation of the highway, timely responses to issues and opportunities, and that the needs of customers using this key tourist route are met. See the iconic Milford Road as you have never seen it before in this stunning 20 minute video. Get some great insights into what it takes to manage New Zealand’s only alpine highway traversing some of our planets most stunning scenery. You will also meet the dedicated and skilled team who are responsible for this road and the many and varied challenges they face. freephone 0800 4 HIGHWAYS (0800 44 44 49), which is available 24/7.